In the early 2000s I realised that if Israel defines itself as the Jewish State, we must first ask who are the Jews, what is Zionism, what is Jewishness and how these notions relate to each other and affect Israeli politics, Jewish political lobbying, Jewish pressure groups and so on. No one in Israel has ever criticized my argument. Israelis are naturally intimately familiar with the above notions. Israelis know that Jewishness and Jewish culture are at the core of Israeli politics. But the Jewish so-called ‘anti’ Zionists were rather upset by my observation. It interfered with their delusional and largely deceptive dichotomies between Jews and Zionists, Zionism and Judaism, Israel and the Diaspora etc. Rather than saying that Jews and Zionism are opposites (Jewish anti Zionists) or that they are identical (messianic Zionism), I have been arguing that we are dealing with a complex continuum that can only be realised within the context of Jewishness and Jewish ID politics. Israel is what it is because Jewishness is driven by choseness – a Judeo-centric expetionalist doctrine. Since 2005 Tony Greenstein has been my arch anti Zionist nemesis. He worked day and night trying to stop my concerts, my talks. He contacted venues and festivals and the many humanists who praised and endorsed my work. I offered Tony many times to share a platform with me so we could discuss that which we disagree upon. It never happened. Even when Tony was willing to do it, his ‘comrades,’ according to him, begged him not to do so. Things clearly changed recently for Tony. He was expelled from the Labour Party. He was a victim of the Zionist witch-hunt. He was accused of anti semitsm and had a chance to taste his own poison. Tony didn’t have any excuse. He had to face the man he vowed to eradicate yet failed. 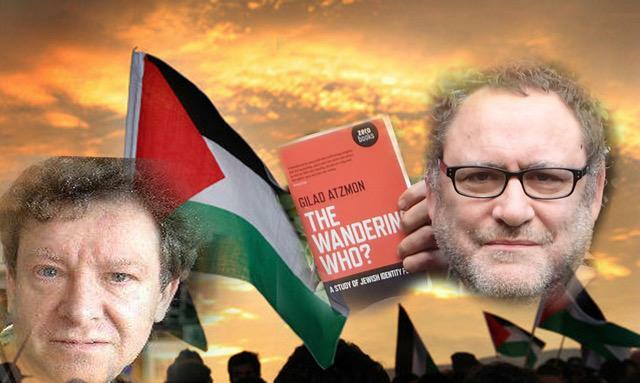 In this radio program moderated by the great Tony Gosling, Tony Greenstein and myself debate what I believe to be the most crucial question to do with Israel and Zionism. Is it Zionism or actually Jewish ideology that drives the barbarism of the state that calls itself “the Jewish State”?